What is the greatest gift you can give the woman you love this Mother’s Day? Give her information she can use to set herself up for financial success. The following are six steps she may find helpful for building her wealth. The first step in building wealth is to know what being wealthy entails. Being wealthy is not the same as being rich. There is no specific income level associated with being wealthy. Buying a home in an affluent zip code or wearing certain clothing does not make you wealthy. Being wealthy means understanding what is important to you in life and being able to pay for it. Regardless of how much income you make, when you are wealthy you spend less than you earn, you save regularly, and you manage/pay off debt in calculated ways, according to the benefits you expect to receive over time. When you are wealthy you have control over your finances and confidence that your savings and spending behaviors meet your immediate needs and are setting you up for success over time. While many people may claim that they want to be wealthy, not everyone is ready or willing to take steps necessary to build wealth for themselves. Building wealth can be tough for many people because it often requires focus, discipline, and deferred gratification. For example, according to the Bureau of Labor Statistics, in 2016 the average American earning $50,766 a year spent as much as 16% of her income, or $8,000 on “little expenses” like credit card interest ($2,750), coffee ($2,180), and wasted food ($2,115). A person focused on building wealth is sensitive to how all of these “little expenses” today add up to missed savings, investing, and strategic debt management opportunities over time. Consider this fictitious example. If someone buys a $2.95 cup of coffee every day for 5 years, she would spend a total of more than $5,300 on coffee. However, if that same woman invested that $2.95 every day for 5 years in a financial services solution that earned a 6% rate of return, she would have more than $6,300 (before taxes and other investment expenses). The total difference between buying coffee every day for 5 years, or being out $5300, and investing that money every day for 5 years, or having more than $6300, is more than $11,000! Someone committed to building wealth realizes that her financial life is a series of priority calls. 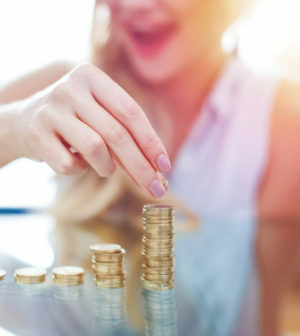 Each day she has the power to influence her financial future by carefully considering how both big and seemingly insignificant financial choices affect her, and making thoughtful decisions that positively impact her immediately and over the long term. Strategic debt management is a critical component to building wealth. Understand that different types of debt exist and pay off high interest debt as quickly as possible. Making choices like auto paying student loans and systematically paying off lower interest debt over time help increase your spending power, positively impact your credit score, and enhance your ability to borrow money in the future. Life is unpredictable. Even the most lucrative, intellectually stimulating jobs can end. The highest quality appliances break. The best made vehicles break down. Protect yourself by having cash equal to six months of expenses or 20% of your salary available for those inevitable surprises that decrease your income, increase your expenses, and/or require prompt unforeseen payments above and beyond your usual spend. Financial goals provide a foundation for building wealth. They offer a vision that you can refer to for perspective as you juggle day to day decisions around how to use your income, consider whether savings strategies serve your existing and anticipated financial needs, and prioritize expenses on an ongoing basis. Think of your financial goals as your list of what you want to do with your money over time. Categorize your goals into “Needs”, “Wants”, and “Wishes” for enhanced clarity around what expenses in life you must pay in order to survive as opposed to which expenses you choose to pay as part of experiencing a quality of life you desire. Once you mentally understand what being wealthy is all about and have in place savings and spending behaviors that align with your goals, consider working with a Certified Financial PlannerTM (CFP®) to discuss your risk tolerance and implement investment strategies to grow your money over time. With more people living into their 80s and 90s, fewer employers offering comprehensive pension plans throughout retirement, and expenses like healthcare rising rapidly, it is more important than ever to make informed investment decisions designed to accumulate more wealth for your use over your lifetime.